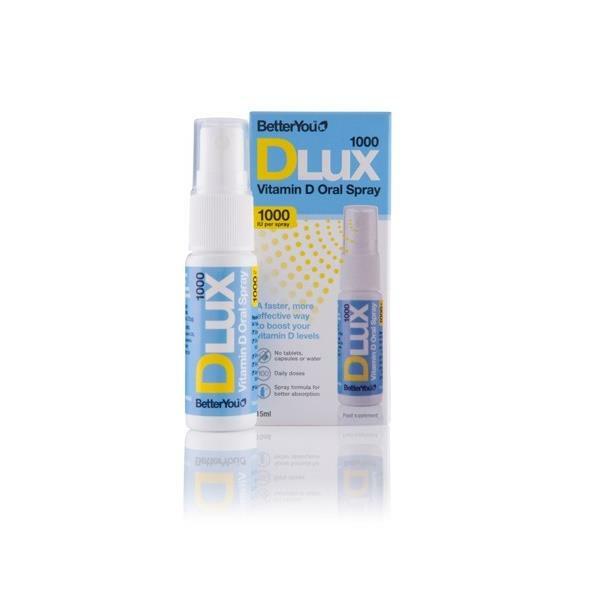 Better You DLUX Daily Vitamin D Oral Spray is used to keep bones and teeth healthy and to maintain a healthy immune system and normal muscle function. The vitamin contains 1000iu of vitamin D and is in spray form for better absorption into the blood stream. Suitable for vegetarians, no artificial colours or flavours. No alcohol, gluten, salt, yeast or lactose.